Social Media is becoming a worldwide technological necessity, and as this popularity of social media grows, so do the risks that coincide with it such as viruses, malware and spam. Whether it is to protect your private personal information from being shared, your identity from being stolen, or your piece of mind from being compromised, social media users must become familar with the basics of security to stay safe. The threat is even more imminent on businesses and enterprises who have social media accounts, since common social media hacks often target larger institutions that utilize social media applications. Case in point, NBC News, Steve Wozniak, and Sarah Palin are all victims of social media hacks. 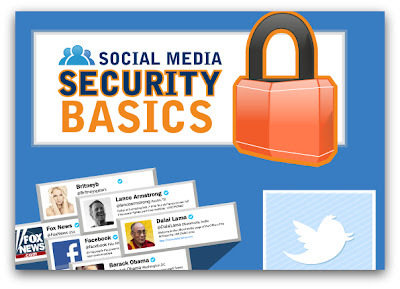 This infographic, "Social Media Security Basics", was developed by Veracode, providers of the world’s leading Application Risk Management Platform, to outline the basics of social media security so as to best protect you from also falling victim to social media hacks.